Q. Do you charge to speak with one of your lawyers? No. However, new potential clients are required to go through the intake process before being able to speak with a lawyer. To begin the intake process, new potential clients are required to submit the short and free Case Evaluation Form through our website, or e-mail us a short summary of your case to info@gallenberglaw.com or provide the basic details over a short telephone intake by calling us at (818) 237-5267. You must include the names of the people/companies you are trying to sue in order to be considered as a new client. This information will be kept confidential. If during the intake process, it appears that this might be a case we are interested in accepting, then we may either provide a free telephone meeting with a lawyer or an in-person meeting with a lawyer or inform you we will be accepting your case. Once we agree to take your case, we will send you a legal services agreement as soon as possible whereby once signed by all the parties we become your attorney. If during the intake process, it appears that the case will not be accepted by our office, then we will try to provide you with a referral. Because we do not charge for the intake process, there is a high number of callers seeking our services. Because of this, and because our lawyers are busy handling current client matters, you must undergo the intake process first before speaking with a lawyer at no cost. Simply going through the intake does not guarantee that you will speak with a lawyer as services are provided on a first come first serve basis and subject to the availability of the lawyer. We look forward to hearing from you. Q. I don’t have money to pay a lawyer, Can You Still Help Me? A. Yes. We accept cases on a contingency fee basis. Q. What does Contingency Fee Basis mean? A. The best way to understand what contingency fee means is by first understanding the traditional way lawyers are paid. Traditionally, lawyers charge an hourly rate for their services, these hourly rates range anywhere from $250 to $1,000 per hour per lawyer. Under the traditional model, lawyers charge an advanced retainer for several thousands of dollars to cover the hourly lawyer rates and costs of the lawsuit etc. In other words, in a traditional structure, lawyers get paid a retainer in advance for their time and any costs associated with the case. If the bill or retainer is not paid, the lawyer then stops working for the client. However, many people cannot afford to pay lawyers’ hourly rates, costs and advance retainers. Taking a case on a contingency fee basis means that the attorney will work and in some cases also advance the costs on behalf of the client and thereby takes the economic risk and burden without a guarantee of a payment. In a contingency fee case, the attorneys will only be paid if the client obtains a recovery (via settlement/trial/arbitration etc.). In this arrangement, the attorney will be paid a portion of the recovery (i.e. contingency fee), the portion is disclosed to the client in the legal services agreement and it is based on several factors including the stage of the case and complexity of the matter, including the number of defendants at issue. If the client does not obtain a recovery, the client will not pay our office any attorney fees. Because we work on a contingency fee basis, we can only accept cases against Defendants that have the economic means to pay for a judgment. Q. How Can I Apply To Be Considered Your Client? A. The fastest way to be considered is through the submission of the Case Evaluation Form through our website, or by e-mailing us a summary of your case to info@gallenberglaw.com or provide the basic details over a telephone intake. You must include the names of the people/companies you are trying to sue in order to be considered as a new client. Q. I Submitted The Case Evaluation Form, What Should I Expect Next? A. Generally speaking, depending on the workload of our office and how much information you provided us, you will receive either a follow-up free telephone call or we will send you a Questionnaire Form to obtain more information from you. If after reviewing your Questionnaire Form, or after the follow-up telephone meeting, it appears that this might be a case we are interested in accepting, then we may either invite you in for a free in-person meeting or inform you we will be accepting your case. Once we agree to take your case, we will send you a legal services agreement as soon as possible whereby once signed by all the parties we become your attorney. However, if after reviewing your Case Evaluation Form, it is obvious we are not or cannot take your case, we will generally send you correspondence informing you that we are not going to be able to assist you. However, we try to provide you a referral in such case. Q. What Should I Expect During The Free Initial Telephone Intake? A. If you have not submitted the Case Evaluation Form, then we will first obtain that information, as we want to have your contact information and the basic details of your case. If you have already submitted the Case Evaluation Form, then during the initial telephone intake we will obtain additional details about your case that are legally relevant. All initial telephone intakes should not take more than 15-20 minutes. The telephone intakes are available on first come first serve basis, which means we try to return calls in the order they are received, and we try to return all calls time permitting. Calling multiple times, simply delays the process. Q. I left a voicemail to schedule a free telephone intake and have not received a call back within 24 hours, What Should I do? A. Calling multiple times, simply delays the process. It may be that there was a problem with the voicemail you left such as bad reception which prevented us from hearing your return phone number, or perhaps you did not leave a return phone number. In some situations, we are too busy returning other calls. If you have not heard back from us within one week, we suggest you e-mail us about your case or submit the Case Evaluation Form, as this is the fastest way for us to communicate with you clearly and efficiently. Lastly, you must leave your voicemail on the new client intake line to make sure your call is addressed appropriately. Q. What Are Some Factors You Consider In Accepting Cases? A. First and foremost, we consider whether the case has merit. We also consider among other things, the economic condition of the Defendant. If the Defendant is not economically viable, even if there is a recovery, there will be no money to satisfy a judgment to pay you or us. Therefore, before accepting any new case, we must know who the Defendants are and if they will have money to pay a potential judgment. We also consider whether the potential client is reliable and respectful, as we want to make sure there is mutual respect and that we can rely on the potential client to return telephone calls and help us with the case—it is a two-way street. We also consider the potential client’s expectations of the litigation. If the client’s case is worth very little, but the potential client has jackpot-type money expectations, then we do not accept the case because the potential client does not have realistic expectations. These are just some of the factors we consider but there are others. Q. I have been fired from my job, what should I do? A. First and foremost, you should submit your case for review to a Los Angeles Employment Lawyer. A Wrongful Termination Lawyer can review your case and determine if you have a wrongful termination case. It is important that you contact a lawyer as soon as possible as the statute of limitations for filing a case are running out and you don’t want to lose a case simply because you waited too long. A lawyer may also help you obtain a settlement out of court or a severance package. Contact us now to begin the intake process. Q. I think I am going to be fired soon, what should I do? A. If you believe you will be fired soon, there are some things you can do that may help you in the future if you decide to sue your employer. First, you should consider having the following documents: (1) Pay Stubs (as many as possible) , this will inform you of who your “Legal” employer is, not just the name of the business; (2) The Employee Handbook, this document will tell you what the employer’s regulations regarding suspensions, terminations are as well as inform you if you have to sue in court or arbitration; (3) Notes about how the impendency of the firing is affecting you emotionally; (4) Notes about the reasons you believe you are about to get fired, especially if you think it is retaliation or discrimination, as well as notes about any write-ups; (5) Seek medical attention for your emotional distress because you will need evidence of your emotional distress should you seek that as a damage. These are just some things that you can do that may assist you, for more information, submit your case for review to a Los Angeles Wrongful Termination Lawyer at our office. Q. I have been sexually harassed at work, what should I do? A. You should contact a Los Angeles sexual harassment attorney as soon as possible to have your case reviewed. Generally speaking, it is recommended that the victim of workplace sexual harassment (1) Keep a personal journal about the sexual harassment experienced, as memory fades, and the details may not be so clear in the future; (2) Inform the harasser that you are not interested, this is often times difficult to do as you are afraid of losing your job, but it if it is not done, you risk further sexual harassment and their word against yours in a lawsuit that this was unwelcomed; (3) Review your Employee Handbook to make sure you understand your employer’s policy on sexual harassment and that you report it to the appropriate parties; (4) Keep notes of the emotional distress you are suffering; (5) Seek medical attention for your emotional distress because you will need evidence of your emotional distress should you seek that as a damage. These are just some things that you can do that may assist you, for more information, submit your case for review to a Los Angeles Wrongful Termination Lawyer at our office now. Q. My employer is not paying me for all my hours spent working, what can I do? A. 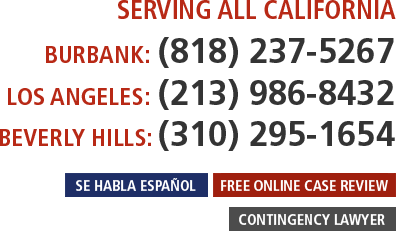 You should contact a Los Angeles Overtime Lawyer as soon as possible to get your case reviewed. Generally speaking, it is recommended that the employee (1) Keep a personal journal detailing the hours worked, meal breaks not taken, rest breaks not taken; (2) Inform the employer that overtime pay should be paid or meal/rest periods must be provided, and write notes about when you made this report and to whom you made it to; (3) Review your Employee Handbook to make sure you understand your employer’s policy on who to report overtime violations; and (4) Keep copies of your paystubs and notes about the overtime; These are just some things that you can do that may assist you, submit your case for review to a Los Angeles Overtime Lawyer at our office now. Q. Why Should I file A Class Action? A. A class action lawsuit is often times the best way to send a message to a company that what the company is doing is wrong and that it needs to rectify its behavior. This is so because generally speaking a company may not be scared of an individual suing them for $1,000 or even $100,000, and therefore considers violating individuals’ rights just the cost of doing business, and does not change its ways, after all, they may think “I can cheat people of out of millions but only pay $1,000 to the person that sued me.” However, a company becomes more concerned about its actions and repercussions when the lawsuit is a multi-million dollar lawsuit, such as a class action case may be given that a class action lawsuit is brought on behalf of the group being affected. If the goal of an individual is to have the company take the issue seriously and to stop the unlawful behavior for all others similarly situated, a class action may be the best route to take. Class actions have generally been considered a route to create social and corporate change. Submit your case for review to a Los Angeles Class Action Lawyer at our office today.